Planes: Unmanned planes follow the same principle as manned planes, which is based on lifting the aircraft by means of pressure differential lifting force at different sides of the wings, when a propeller in the front pushes the air towards the wings. Planes fly forward faster than helicopters or multirotor drones but they cannot hover in the air like them and do not have the ability to takeoff or land vertically. Helicopters: Just like the real life helicopters, unmanned helicopters also have two rotors, one is the main bigger rotor that pushes the air downwards does the lifting, and also moves the helicopter forward and the other smaller propeller attached to the tail vertically for controlling which direction the helicopter goes. The small propeller at the tail also counteracts the rotation affect that the main propeller creates. Similar to multirotors, helicopters also use gyroscopes in order to balance themselves against the effects of wind, or when the helicopter throttles up and the turning effect increases. Multi Rotors: This is the most popular type of drones in use today in general consumer and hobbyist market and we focus mostly on multirotors in this book. The multirotor system offers an important advantage in comparison to single rotor helicopters, which is the greater level of control and also the ability to stay in the air even if one of the rotors fail. More rotors of course enable greater carrying capacities, and mean smaller rotor blades which are easier to use. Of course a stronger and heavier battery is needed to run more blades. 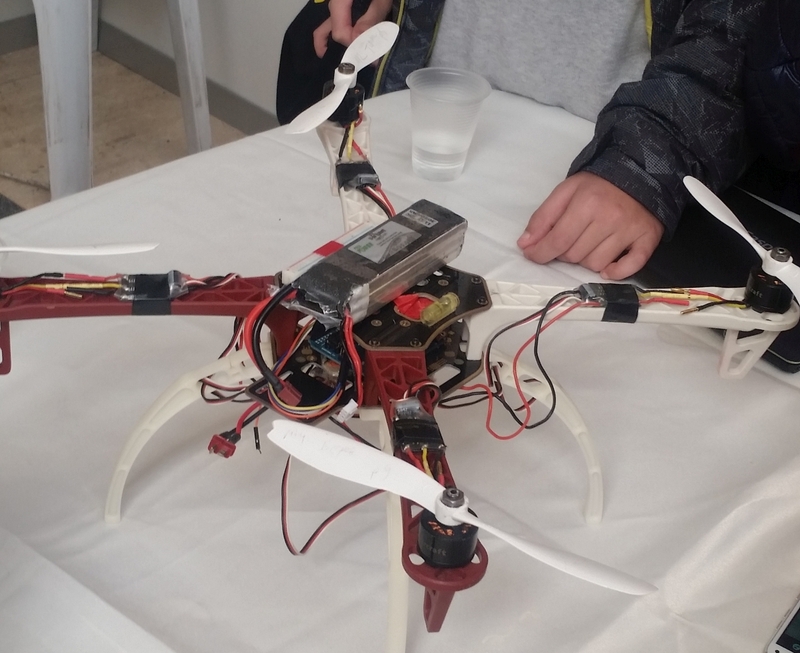 The most common type of multirotor drone is a quadcopter, which means, a drone with 4 blades. For heavier loads 6 (hexacopter) or even 8 (octacopter) propellers may be used.